“Courageous” would be an understatement when describing the passengers and crew aboard United Airlines Flight 93 on September 11, 2001. Attempting to capture that courage, JZA+D created a memorial design for the crash site located near Shanksville, Pennsylvania. 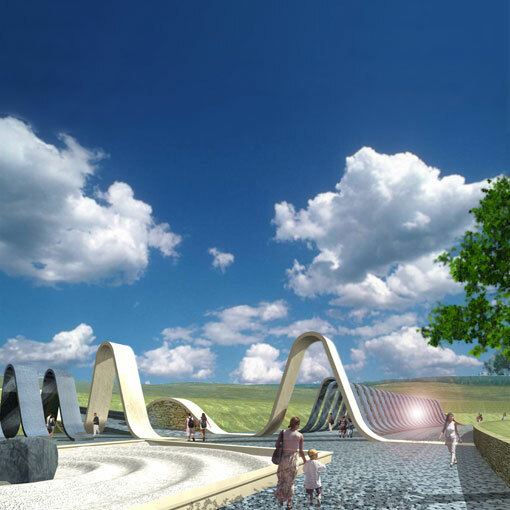 The simple, landscape-inspired design consists of a series of concentric circles – portions of which are activated as earthen berms – emanating from the crash site. These circles reach a crescendo at the lower portion of the bowl, blending the visitor’s center and the maintenance and archival facilities within the rolling landscape of southwestern Pennsylvania. 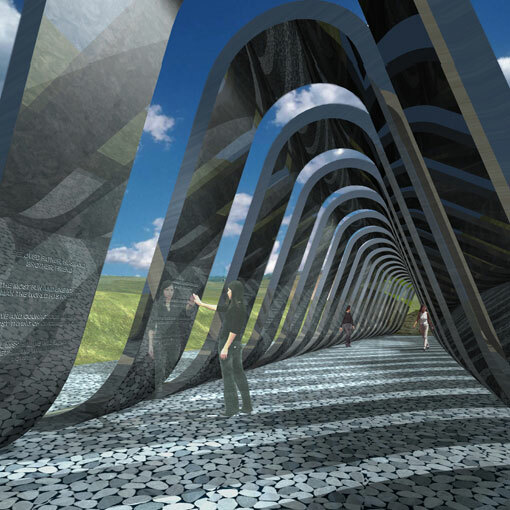 Following the approximate flight path, a promenade links the visitor’s center to a memorial of 40 polished stone arches – one for each courageous life lost.